With some people having a 3 day weekend, it is a great time to visit downtown Sevierville this Saturday. Such good things within only 3 blocks of each other. Here are my recommendations for this Saturday! First, Coffee and Cabi. 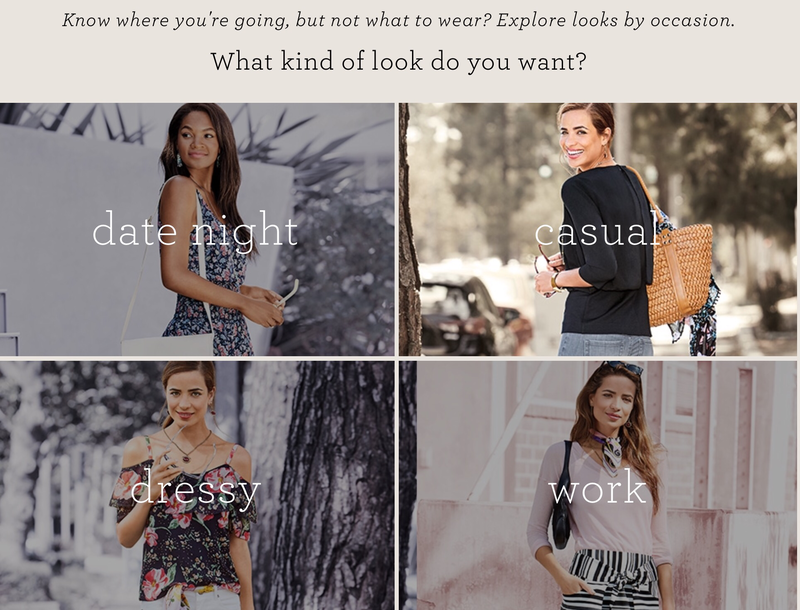 Ladies can start with a Cabi fashion experience after 10:00 a.m. Clothes, shoes, jewelry. This is the first Cabi presentation in Sevierville so join us at Courthouse Donuts for this event. Coffee, treats, and you can try on clothes, if you like. Stylist, Amy Quincy Whaley, can answer your questions about this clothing line. The event is 10:00-11:30 at Courthouse Donuts, 160 Court Avenue, Sevierville. I want to order the top on the right for my reunion this fall! A ‘cold shoulder’ look. Next, exit Courthouse Donuts to the left and visit the Bees Knees. Open until 5:00, according to online sources. Have lunch at Bistro 109. Open from 11:00-9:00. Check my blog from last week to see this restaurant highlighted. I love the small plates and orange cranberry chicken salad! The daily specials—everything. Continue down the street to 230 Court Avenue to the Treasures of the Heart thrift store. This is the only store in town that benefits Sevierville and SMARM. We are going to go there in the early afternoon to work on a upcoming blog story featuring the party dresses there. A photographer will be donating her time for that story and will be taking pictures for that story. Stay tuned! Finally, stop at Bloomingtails Boutique at 202 Parkway, Sevierville on your way home. 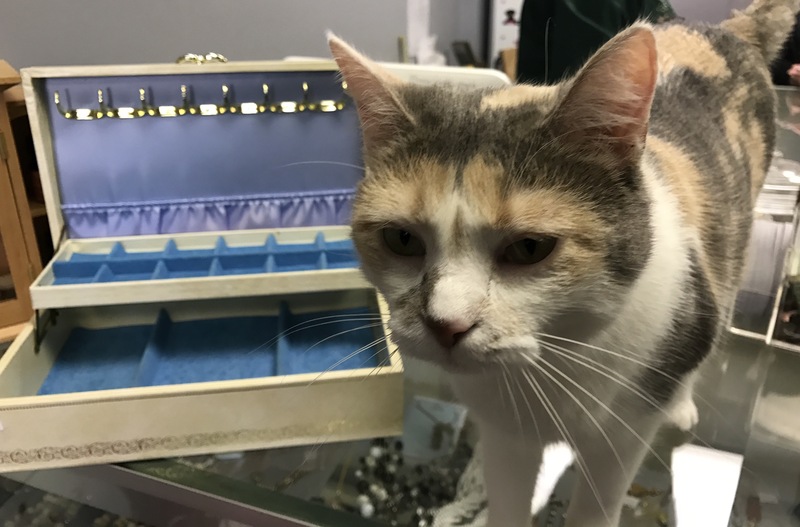 You can find jewelry for as little as $3-$5. Other treasures as well. Look what I found a couple of weeks ago. 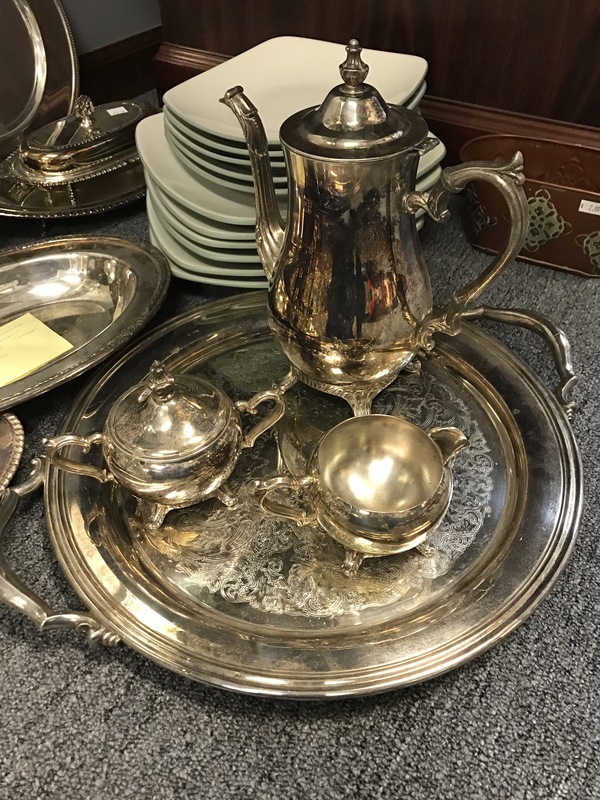 A silver plated (?) tea service! 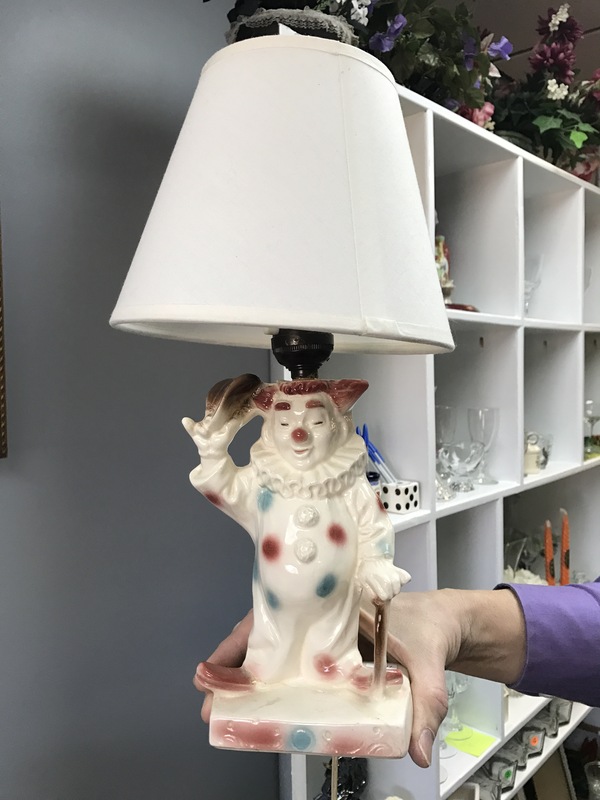 Volunteer, Dennis Chambers, shows me a lamp from 1961? Still works perfectly. I can envision it by a child’s bedside table. 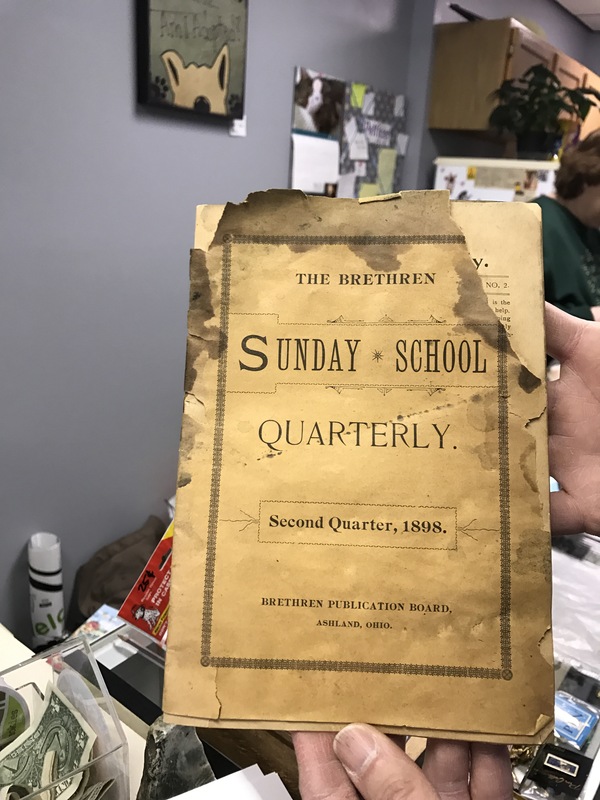 A Sunday School lesson book from 1898! And my friend, Maddie the cat. Love her! She likes to be petted. I always stay a longer because of her. All proceeds benefit Pets Without Parents. Hours this Saturday are 10:00 -2:00 so get there quickly and browse! There are some great things going on Saturday downtown so get out and about in Sevierville. Don’t forget Coffee and Cabi! Attention ladies! 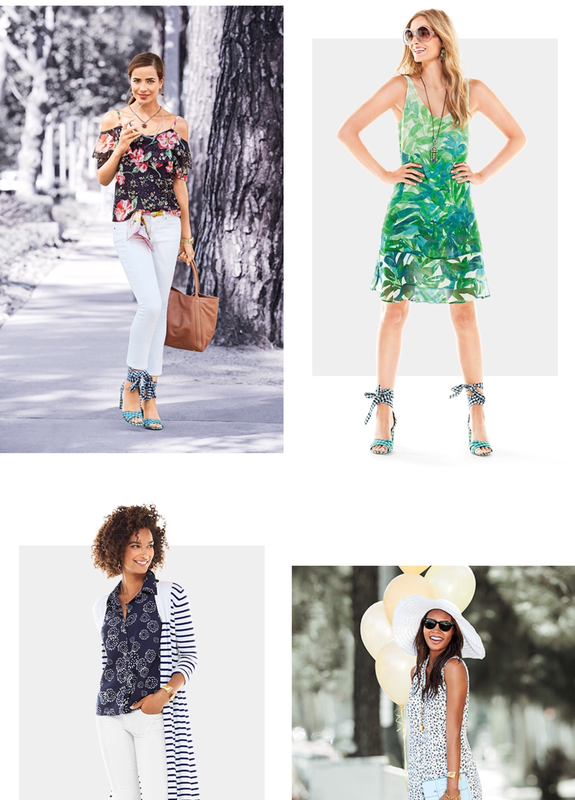 There will be a Cabi fashion experience this Saturday, Feb. 18 from 10:00 a.m. -11:30 a.m. at Courthouse Donuts/Dyers Downtown in Sevierville. I am hosting this event and you are welcome to come and see the Spring 2017 line. We hope you can join us. Bring a friend! Courthouse Donuts is closed on Saturdays during the winter, but they will be open Saturday for our event, Coffee and Cabi. There will be coffee and treats. Here is a link to their webpage. There will be plenty of easy parking downtown. I have used screenshots here to show a few of my favorite things that you can try on Saturday. It is important to try things on to see exactly which size works best for you in this line. Stylist Amy Quincy Whaley will show the Spring 2017 line then you will have time to try on sample items, if you like. I know that I will! After running your errands, come join us and enjoy coffee and Cabi next Saturday morning! If possible, message me to RSVP. Come and enjoy the fun! Stop by, grab a coffee and treat, and have a look at the Spring 2017 line. 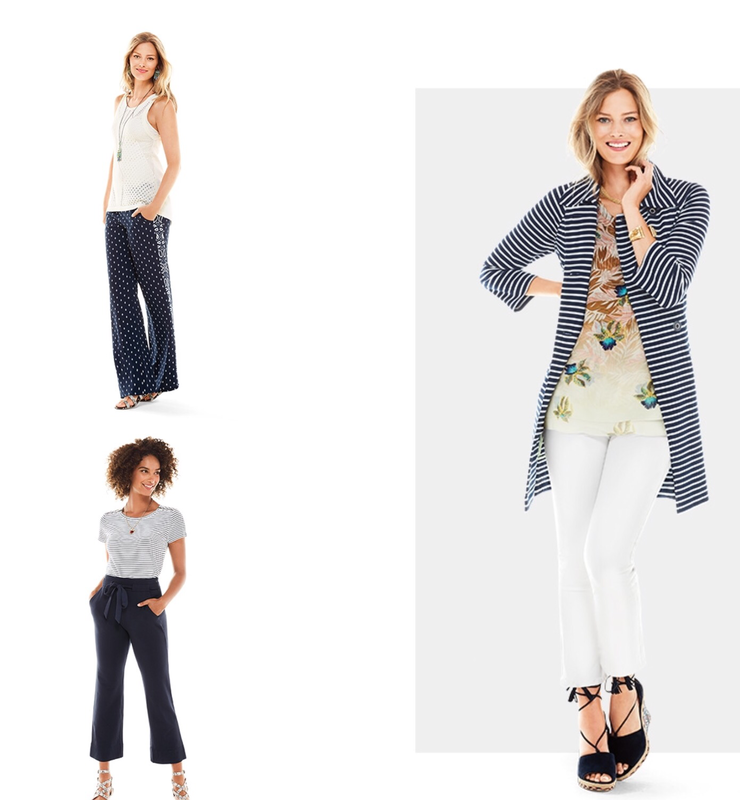 Here is a link to the Cabi website to see the new Spring 2017 line. Experience a new way to shop. Shop in a comfortable setting with a stylist who can help you find for what is right for you and your style. Enjoy an hour with your friends, treats, coffee and Cabi. It will be a new fashion experience in Sevierville so drop by and join the fun.